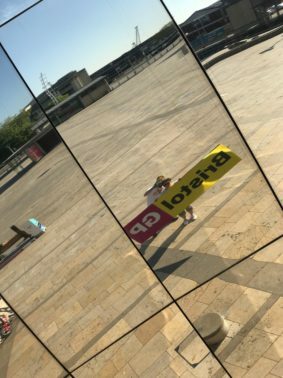 On 8 July, Bristol once again welcomed the Grand Prix. 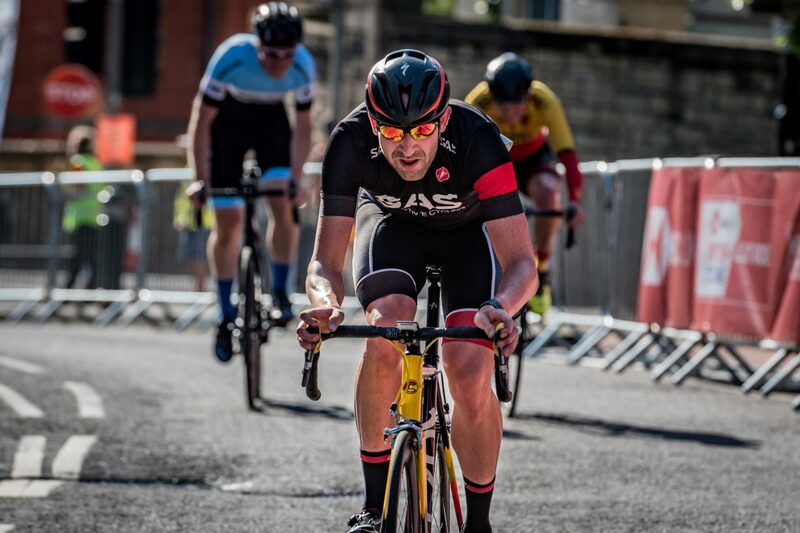 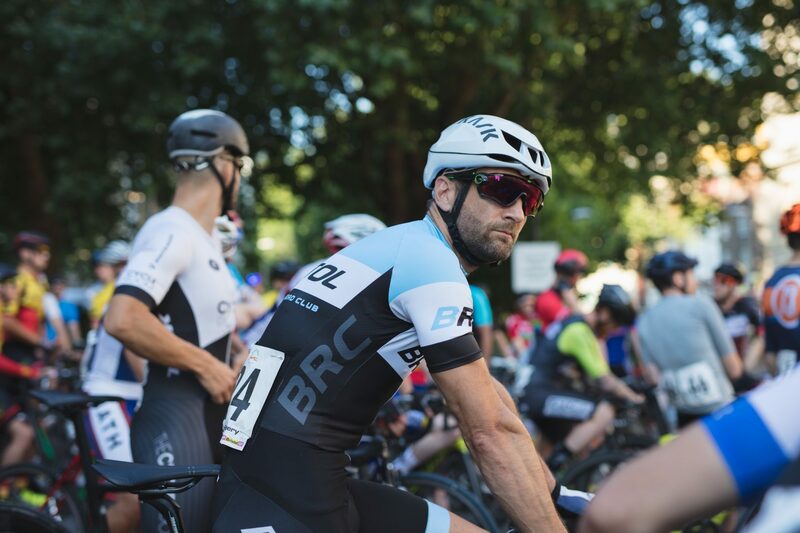 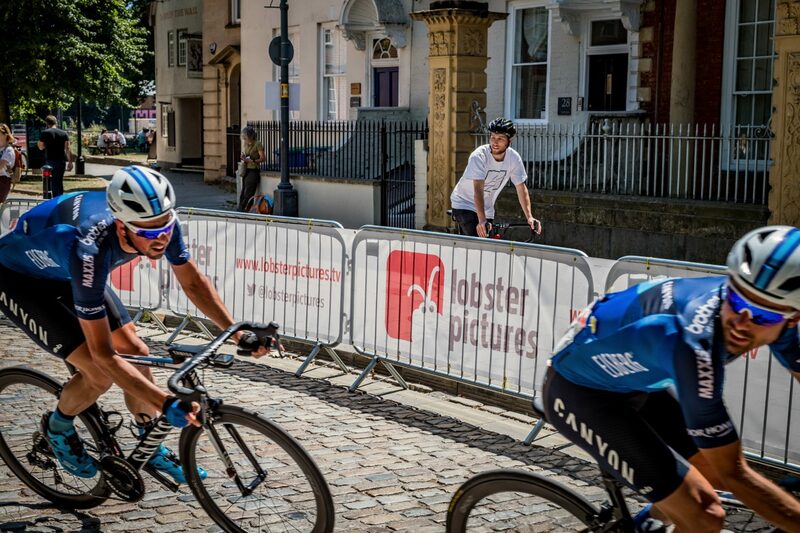 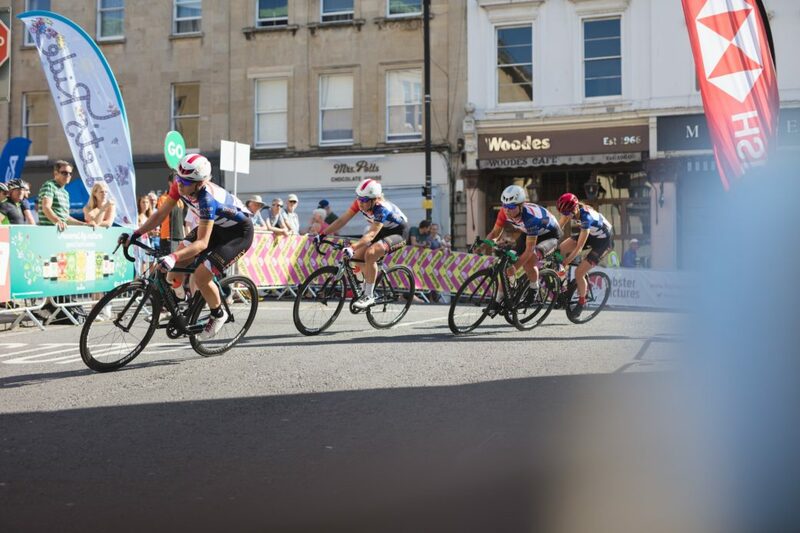 This year the race schedule was all in the morning, with the Bath Ales 3/4 Men’s Race and Hayes Parsons Insurance Brokers E/1/2/3 Women’s race taking place on a new short (criterium) course before the headline 2018 HSBC UK | Lobster Pictures Bristol Grand Prix. 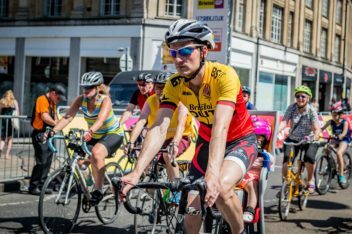 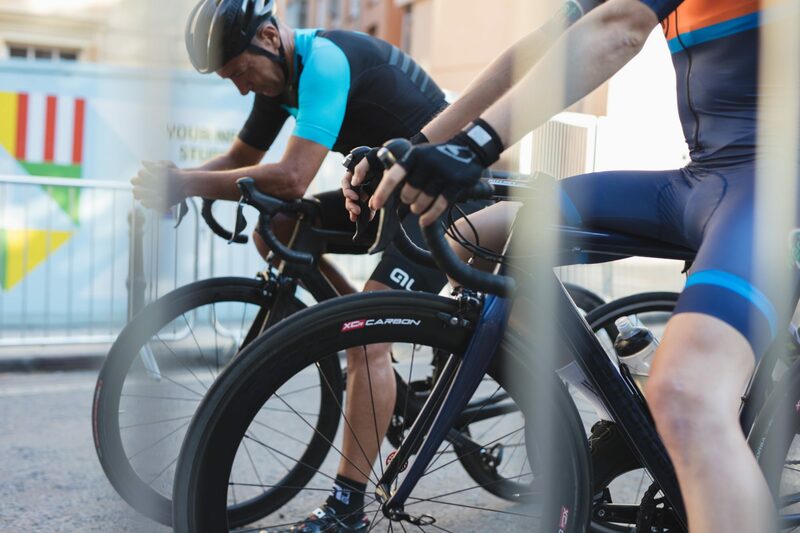 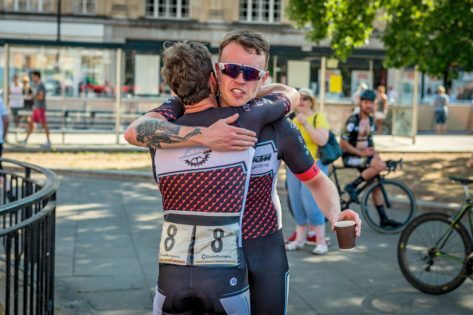 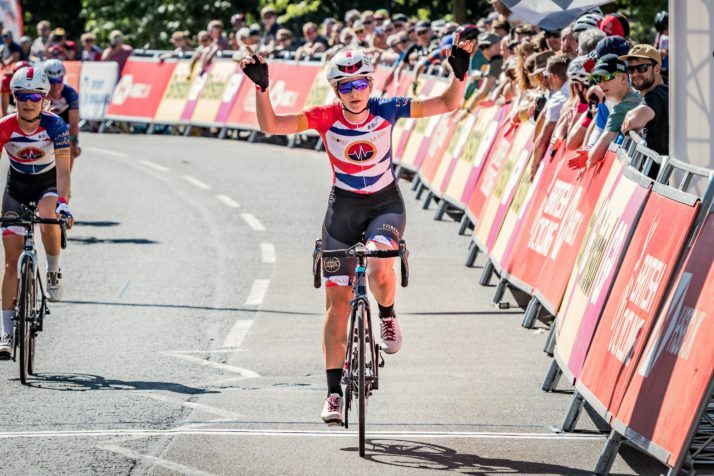 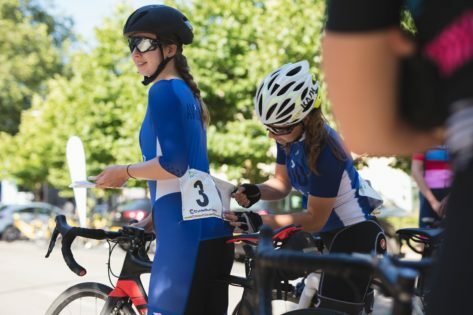 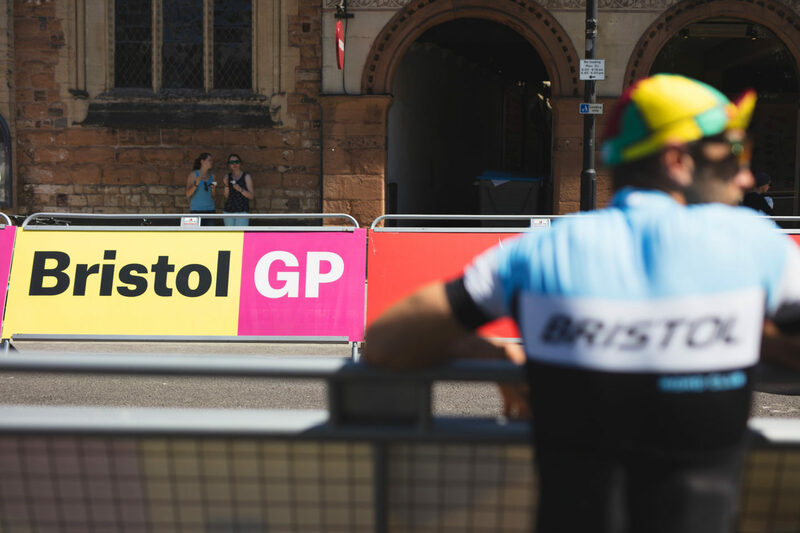 The 2018 Bristol Grand Prix event was a big step-up, with the short, fast circuit of previous years extended to a 6km long loop that would test some of the UK’s best riders to the maximum. The racing was hard and fast, and conducted in blistering heat. With the racing starting at 8am sharp, all crew we were all on site at 4am the morning after that football game and St Paul’s carnival. 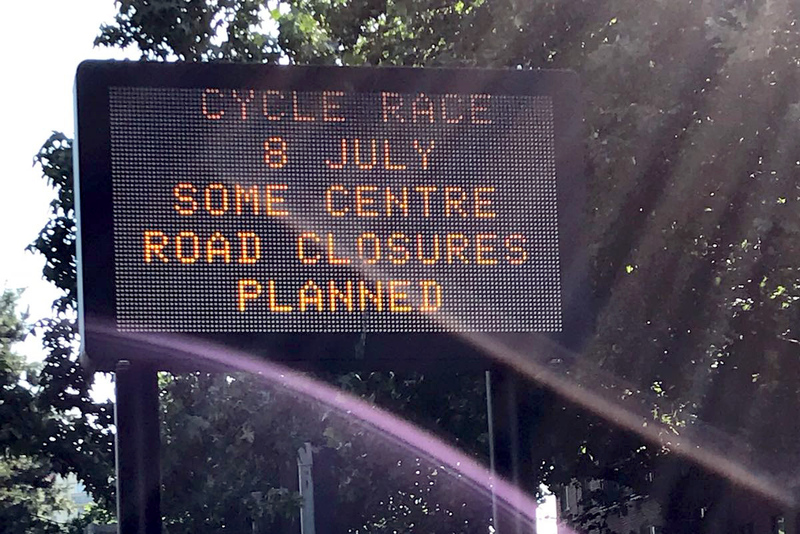 5,000 crowd barriers and 240m metres of signage were set out around the 6km track. 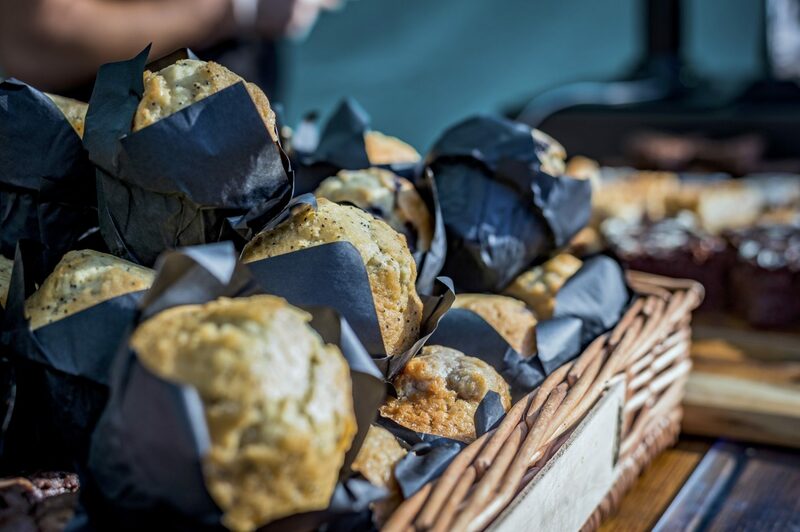 Thankfully the new College Green race village was ready with coffee, cake, fancy bikes and our Bristol GP goodies. 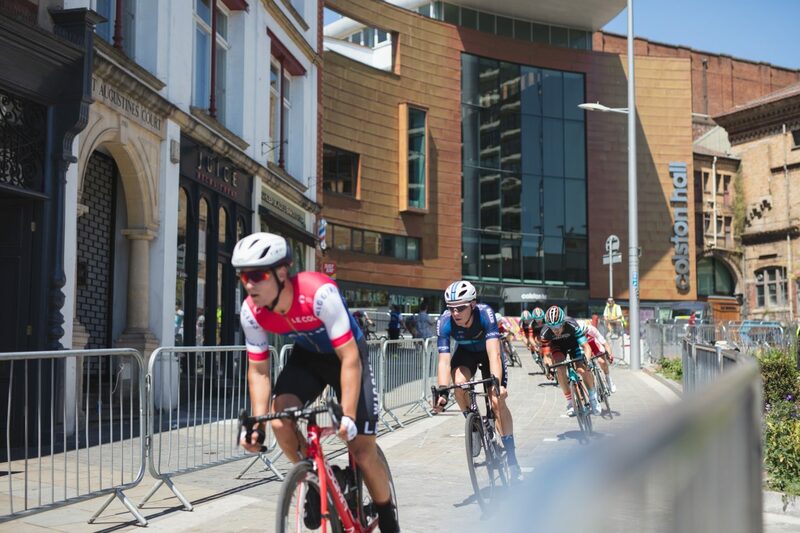 The new Bristol Grand Prix criterium (short) course hosted the opening two races of the day to universal rider acclaim. 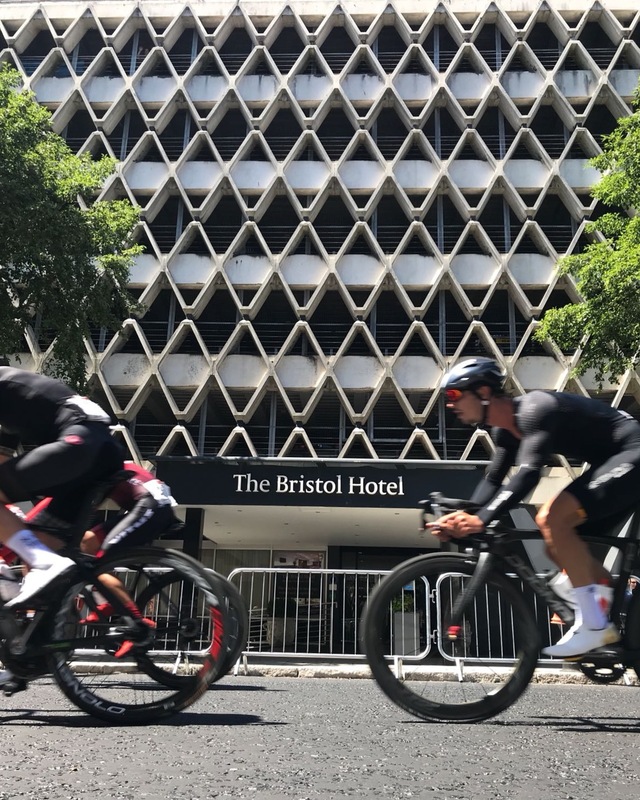 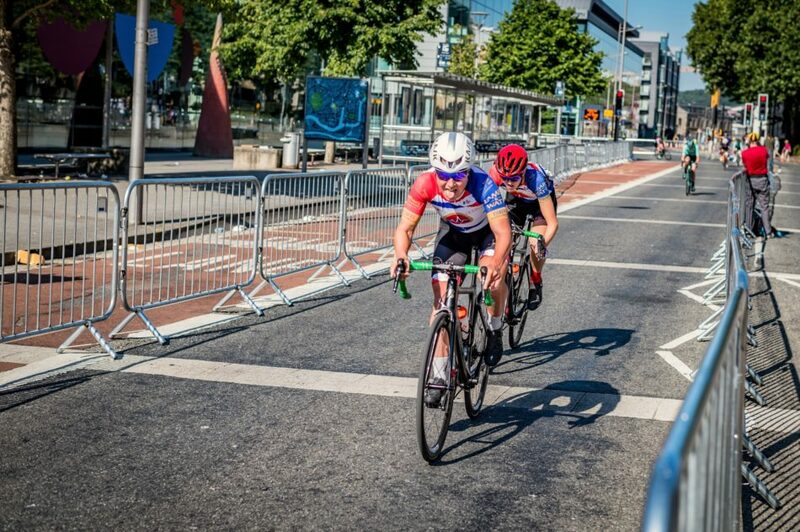 The fast and challenging route followed the first section of the longer GP course before a tight left hand corner brought riders past the Marriott Hotel and back to the start/finish line. 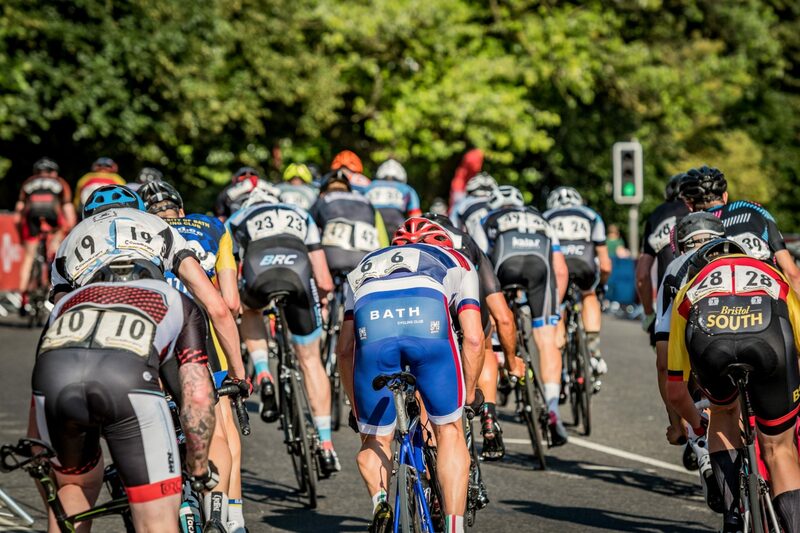 The Bath Ales Men’s Category 3/4 race was the first on the circuit, with an early (8am) start. 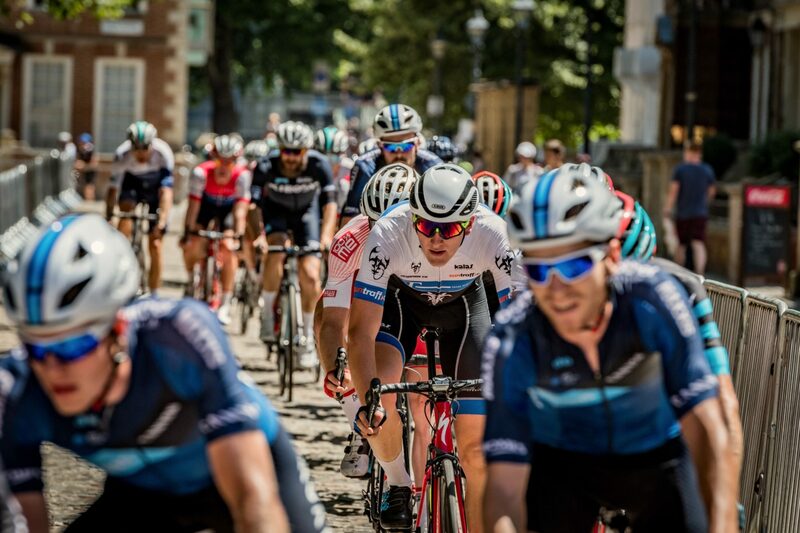 Racing was combative from the start with teams and riders working to escape the bunch and impose themselves on the race. 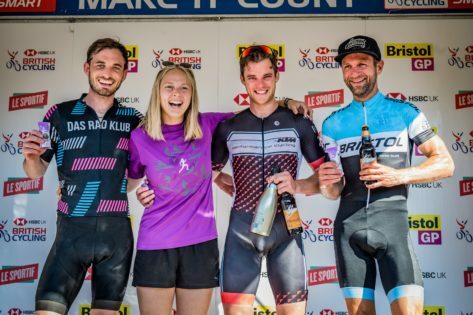 Local clubs were keen to demonstrate their dominance on home turf, with riders from Das Rad Klub, Bristol South, Bikestrong KTM, Bristol RC and 73 Degrees all taking a turn at the front. 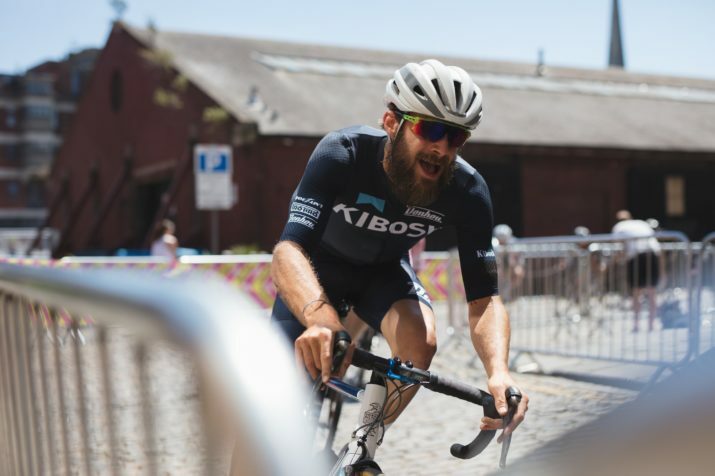 For a while the field looked like breaking up, but the motivation was high and the group was kept together with some committed and aggressive riding. 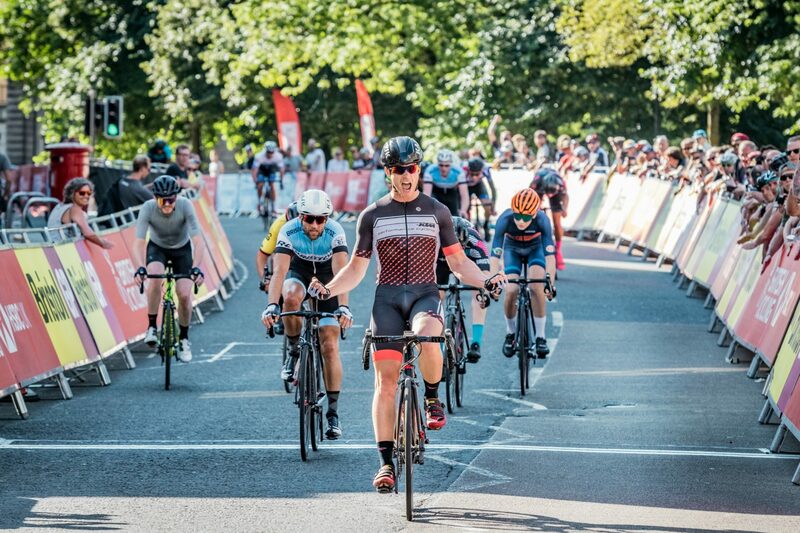 The final came down to a sprint with George Aldridge of Bikestrong KTM taking the win by a bike length from Christopher Hill (Bristol Road Club). Das Rad Klub’s William Hibberd rounded out the podium, sprinting to third. 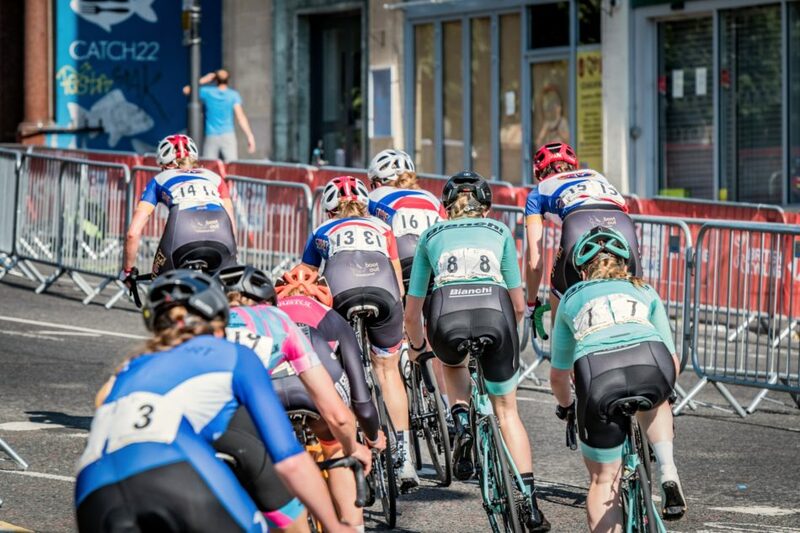 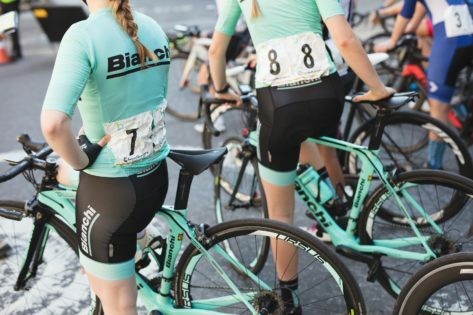 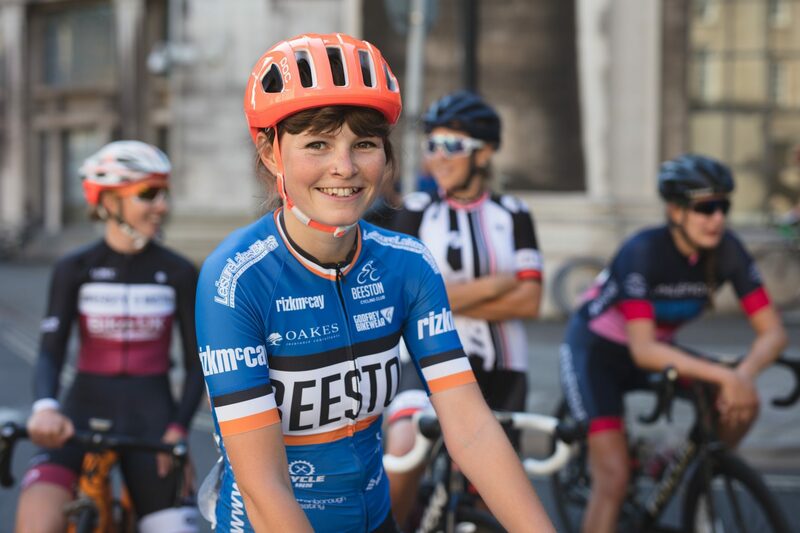 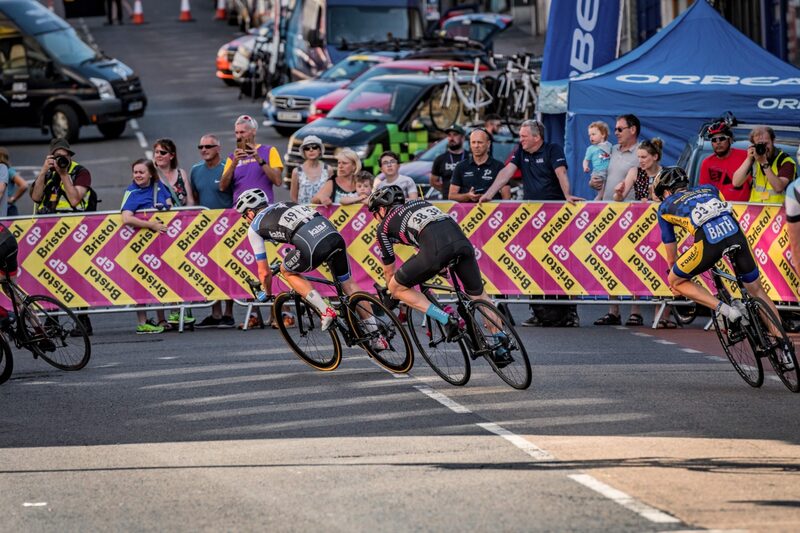 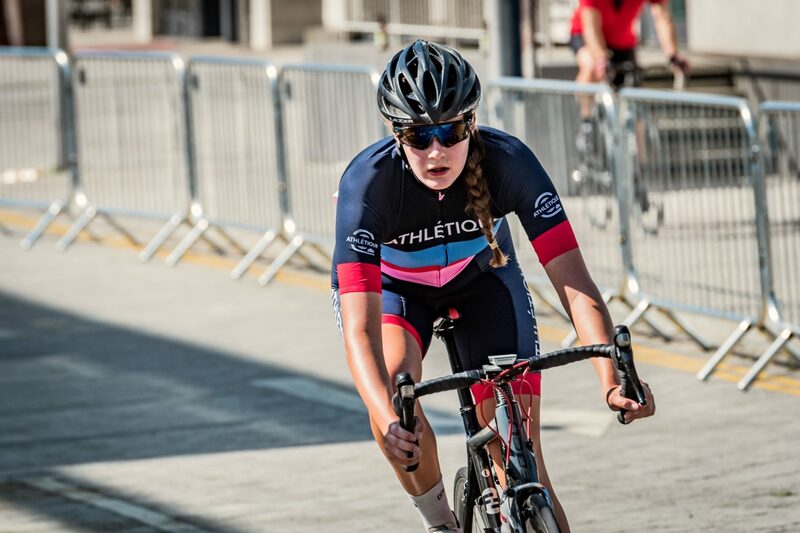 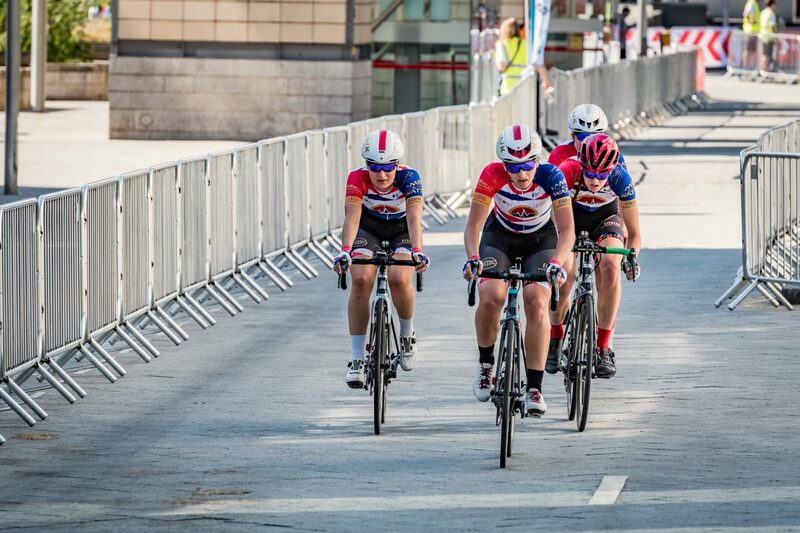 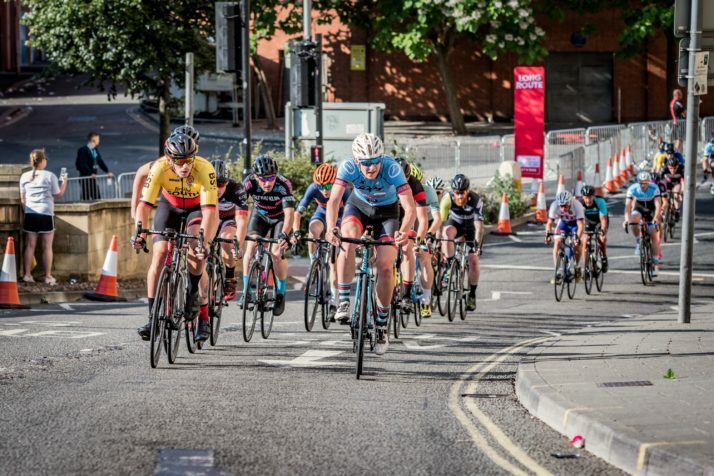 The field for the Hayes Parsons Insurance Brokers Women’s Bristol Grand Prix was the strongest line up that the race has seen, with riders from Storey Racing, Bianchi Dama, Avid Sport and Forever Pedalling all ready to race at 9am. 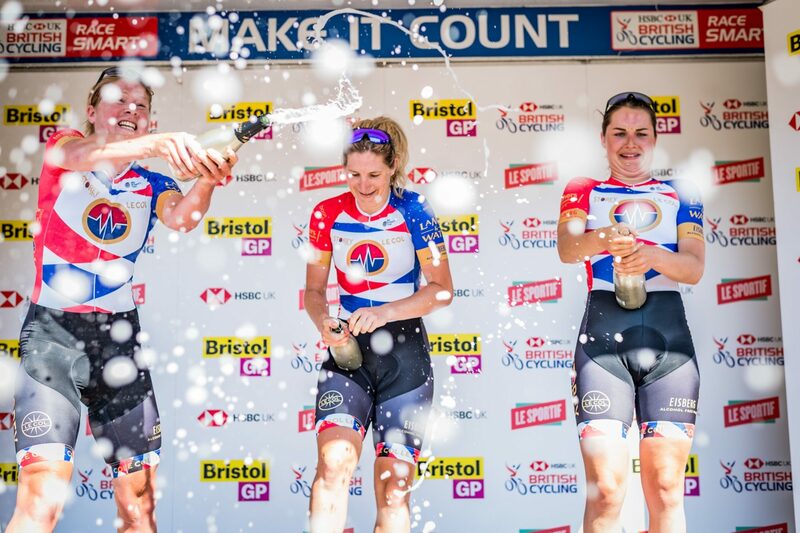 Also at the start line was last year’s winner Rebekah Nash of the (University of Bristol CC). The race started in an orderly fashion, but as it progressed Storey used their superior numbers and strength gained from an intense race programme to impose themselves on the field. 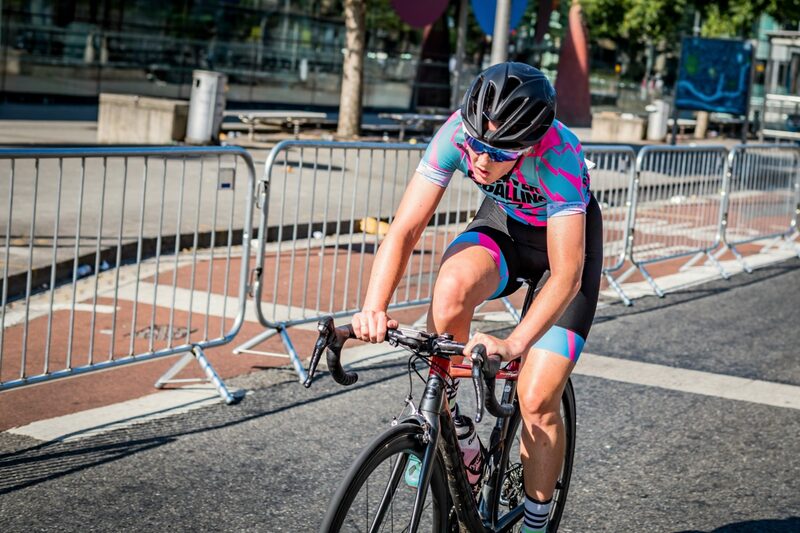 Forcing the field to chase, Storey Racing led from the front, never allowing the field to regroup and challenge them. 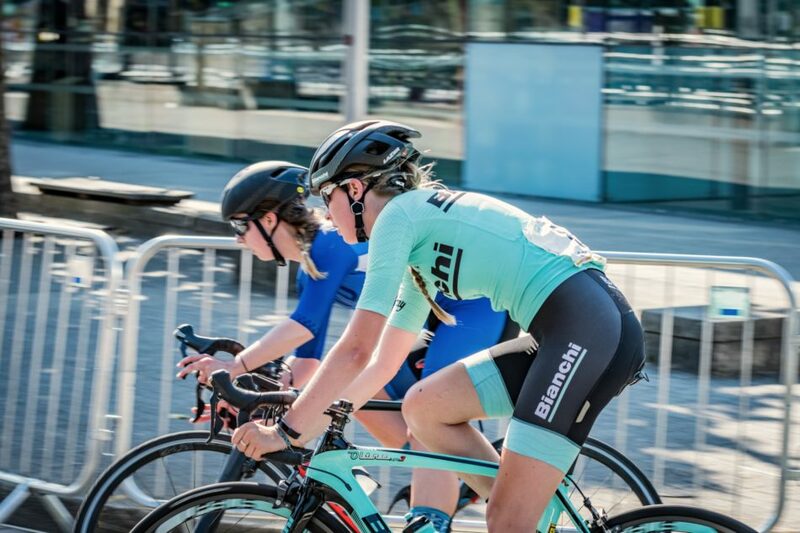 The final saw Storey Racing take a clean sweep of the first four positions, with Bianchi Dama’s Bethany Taylor coming in fifth. 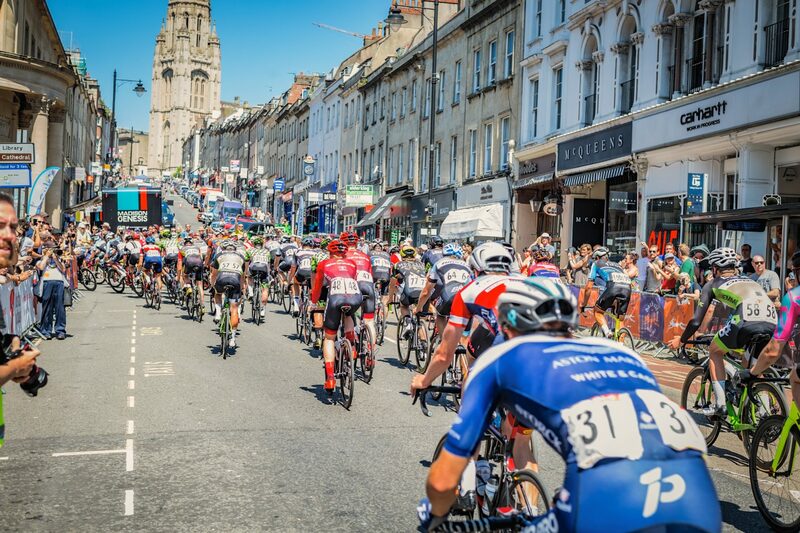 After the Men’s 3/4 and Women’s races, the track was extended to a 6km loop, taking in most of Bristol’s historic city centre. 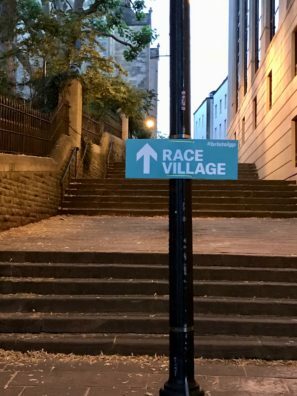 The course was fast, with lots of tight bends and challenges like the 500 metre cobbled section in Queen Square and a steep downhill around the Colston Hall. 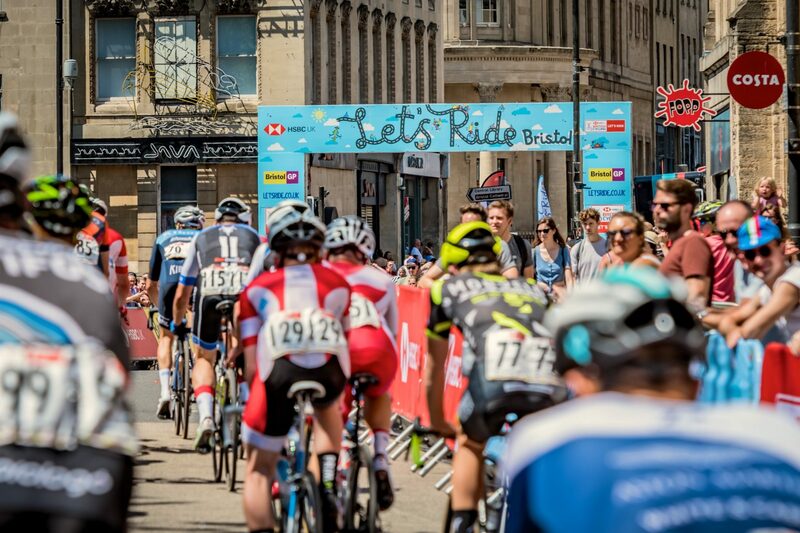 The strongest field possible lined up to take at the start line of the The HSBC UK | Lobster Pictures Bristol Grand Prix. 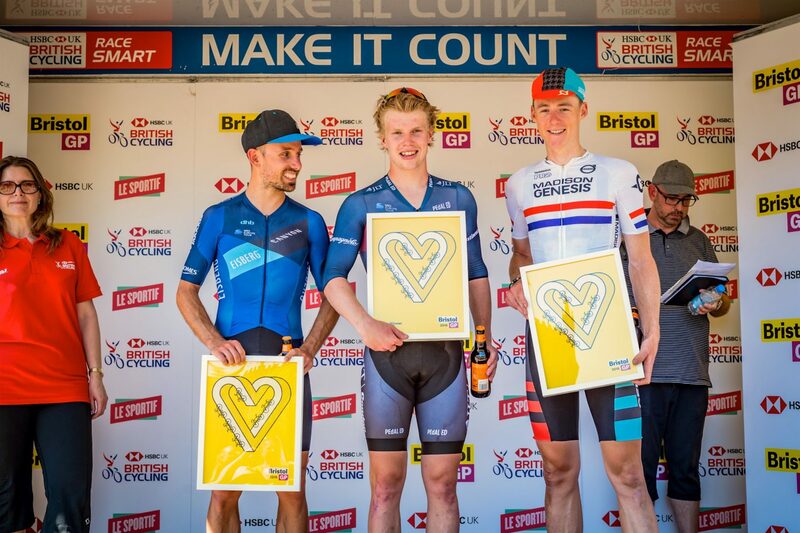 In-form teams from JLT Condor, Eisberg Canyon, One Pro Cycling, Madison Genesis, Team Wiggins, Vitus Pro Cycling and 100% ME were all present. 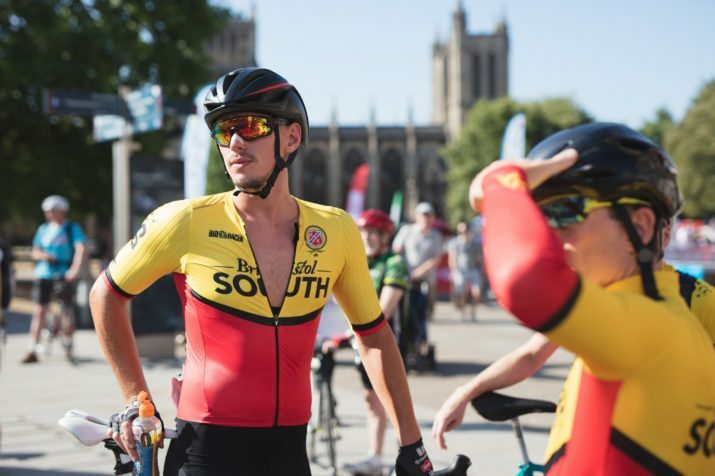 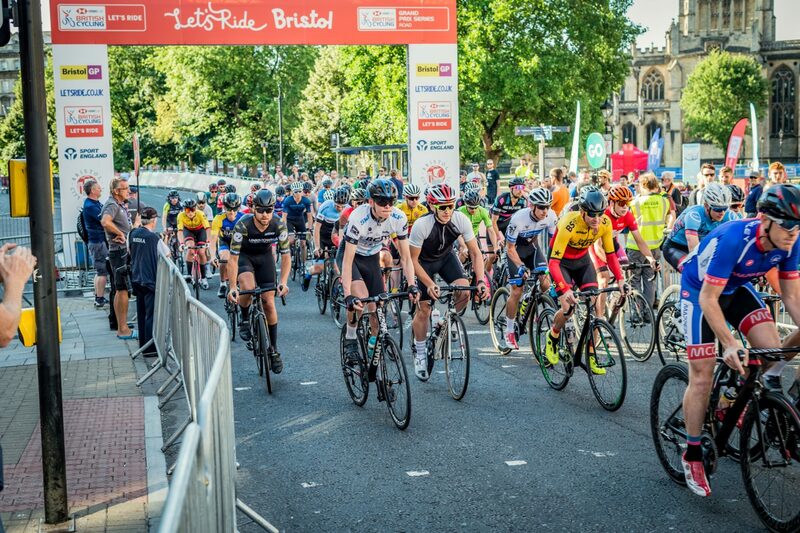 Alongside them were local teams from across the south west including: Forever Pedalling, Bristol Road Club and Latchem Sunwise all keen to make their mark on the race. 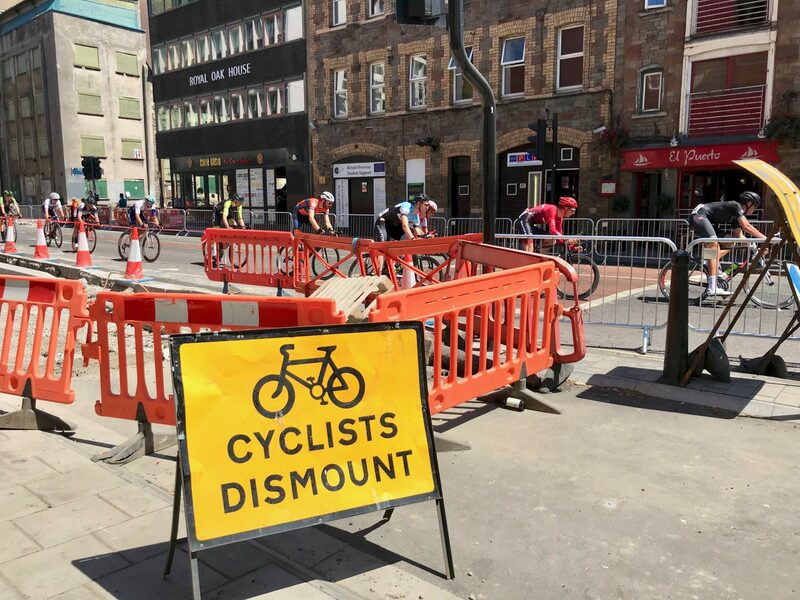 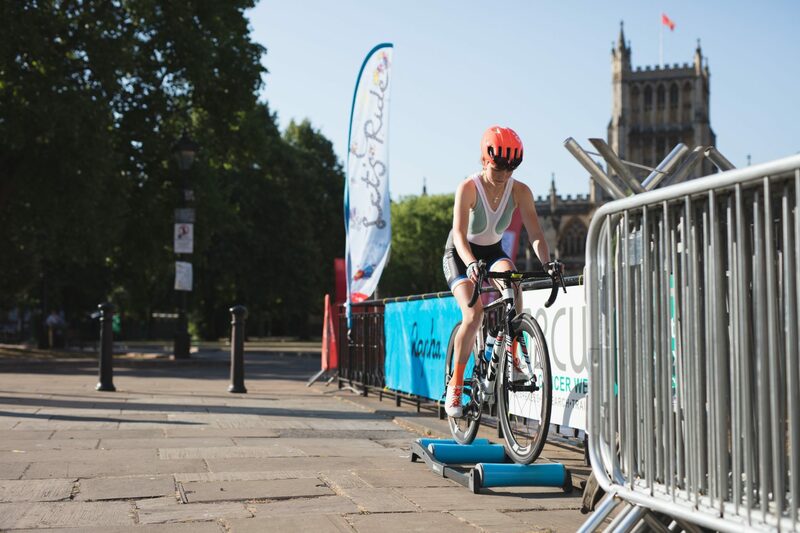 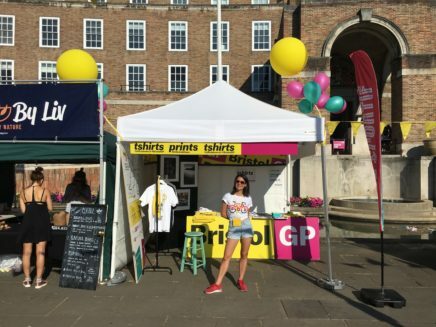 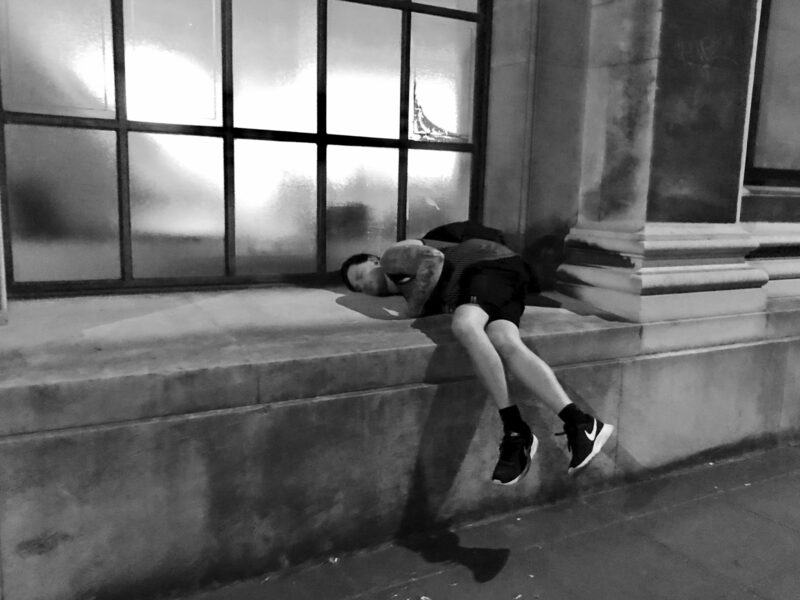 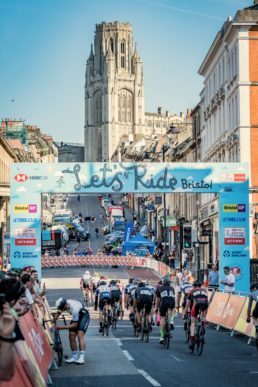 The new kermesse-style course took in some of the key sights of Bristol including the cathedral, Millenium Square, and the much feared cobbles of Welsh Back and Queen Square. The tight and technical course meant that positioning was an essential factor in establishing the contenders for the race. 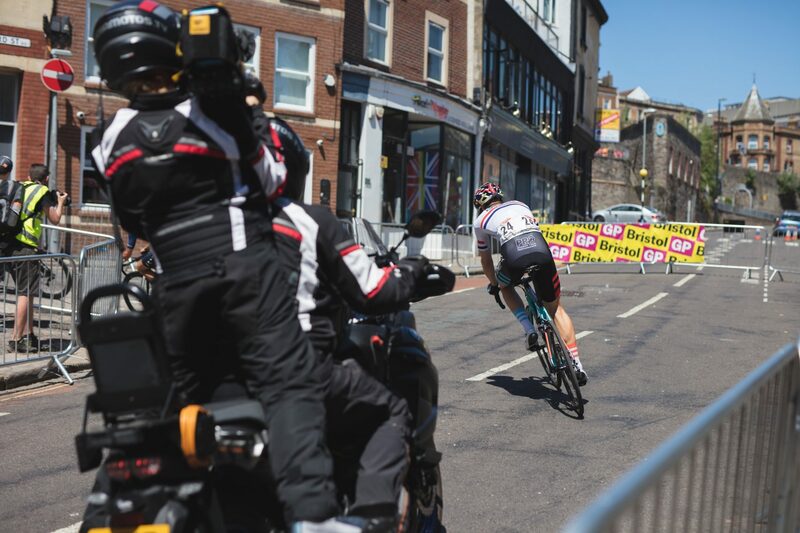 From the start the pace was high, with all 140 riders lined out around the circuit from the first lap. The speed and technical circuit made moving up the bunch difficult. 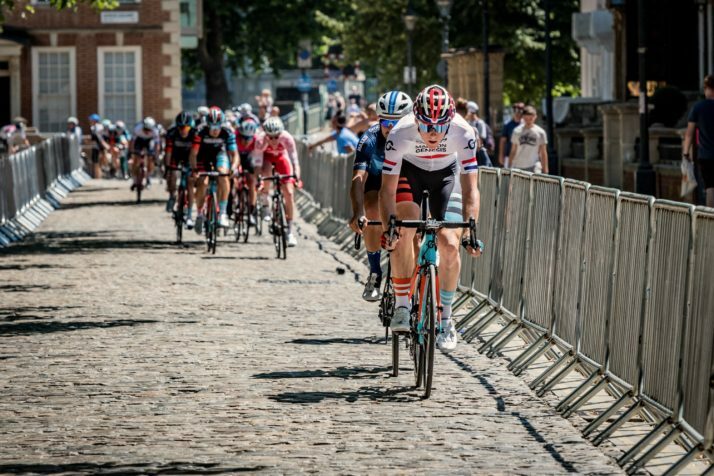 Initially Canyon Eisberg controlled the field, gathering at the front. 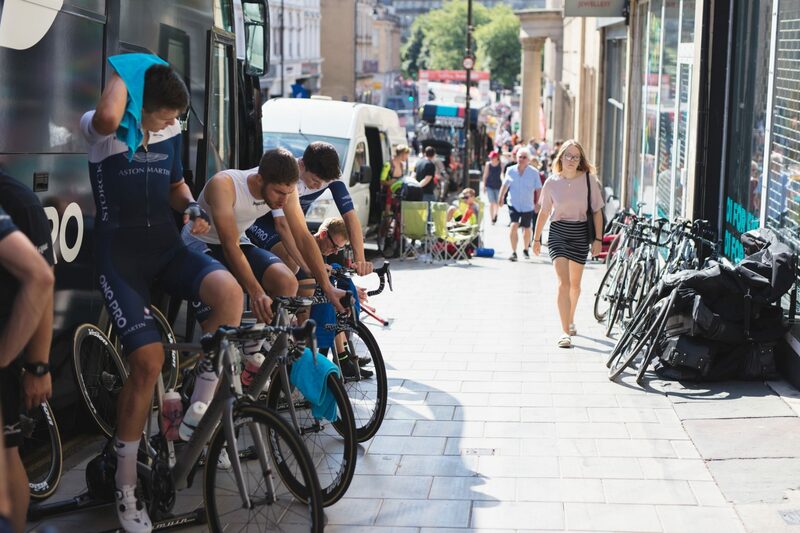 Deftly using the technical circuit and high pace to their advantage, Harry Tanfield and Alex Paton established themselves by breaking away from the front of the peloton. 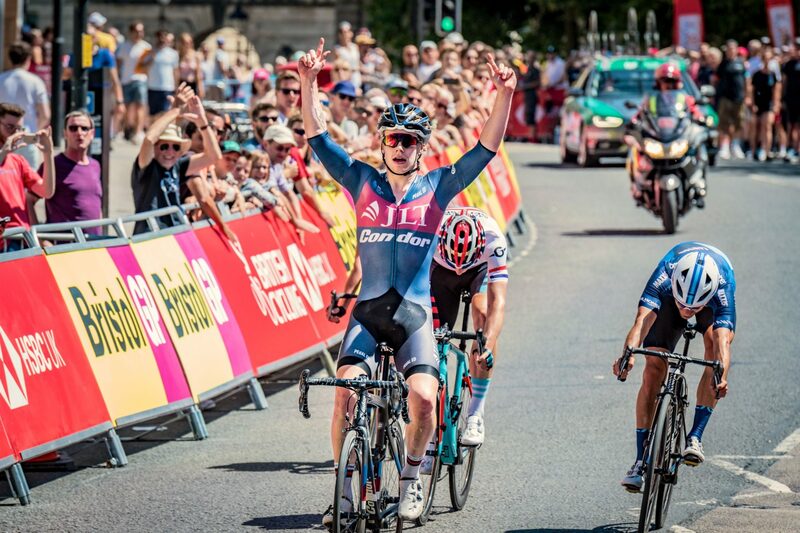 Newly crowned National Road Race Champion Connor Swift (Madison Genesis) and Series Leader Matt Gibson (JLT Condor) formed a chasing pair, with Canyon Eisberg’s Jack Pullar marking the move. 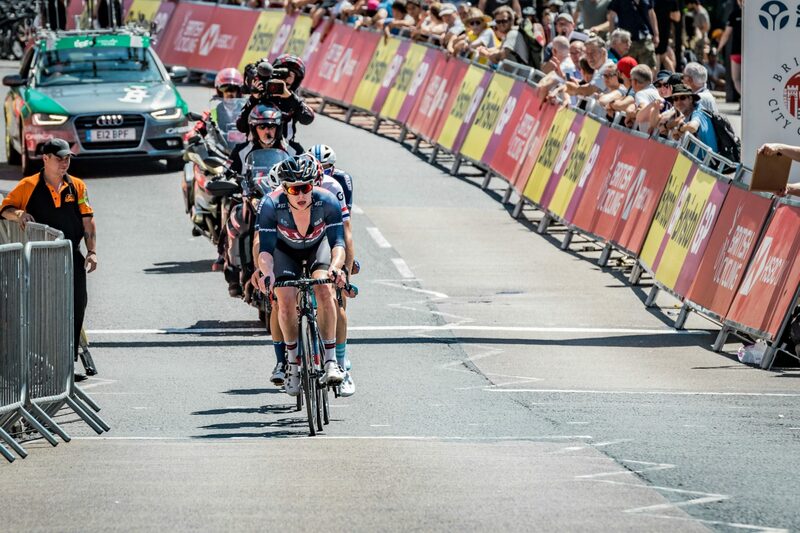 With around eight laps to go, the pace in the chasing peloton surged as teams non-present in the five-man breakaway were pushed in an attempt to bring the race back together for a bunch sprint. 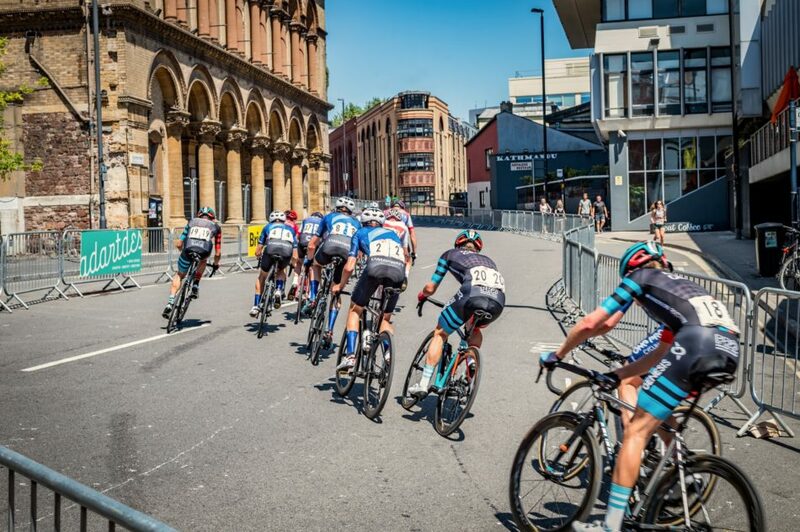 The five man group worked hard to keep the chasing main field at bay, with Harry Tanfield investing all his effort to support his team mates and keep them away from the bunch. In the end, this effort was to tell, with Tanfield unable to maintain his pace for the remainder of the race, dropping away from the leaders. A strong chasing group continued to pull the peloton apart, with many riders abandoning with the high speed and high temperatures taking their toll. 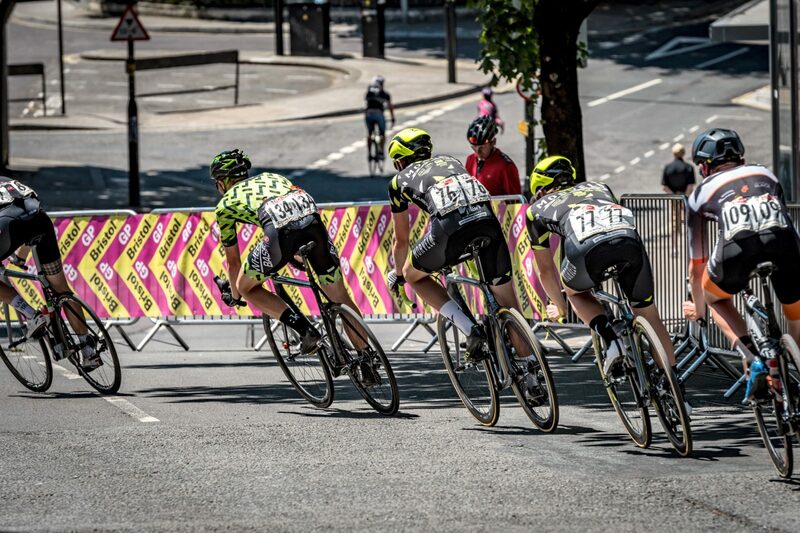 With three laps to go, and with the gap steady at just over a minute, it became clear that this select group of four favourites would be contesting the win. Initiating an early start to the sprint, Jack Pullar looked to have started the winning move, but sprint king and track star Matt Gibson came the long way round from third wheel to take Connor Swift and the Canyon Eisberg two-man bunch by surprise. Jack Pullar came in a strong second and Connor Swift made the podium in his first race as National Champion. 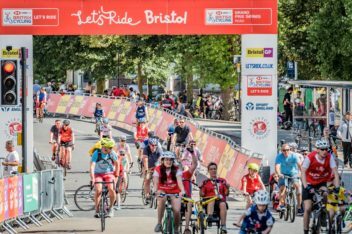 Of the 140 riders who started, only 44 made it to the end. 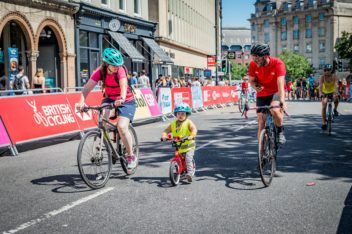 Cheering them on were a record crowd of over 35,000, of which, 8,500 took the opportunity to enjoy the course as part of the HSBC UK | Let’s Ride event that followed directly after. Once all the racing was done it was time for the HSBC Let’s Ride. 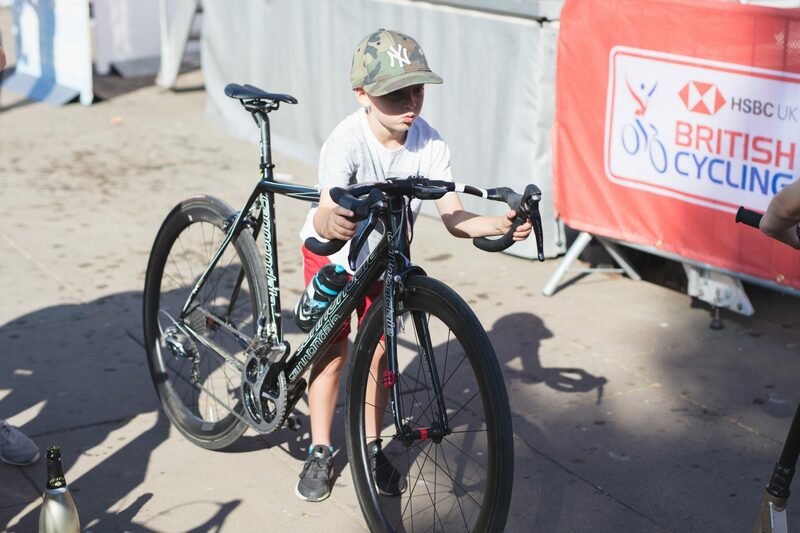 Having watched the pro races a huge amount of people were inspired to take to the course on their bikes. 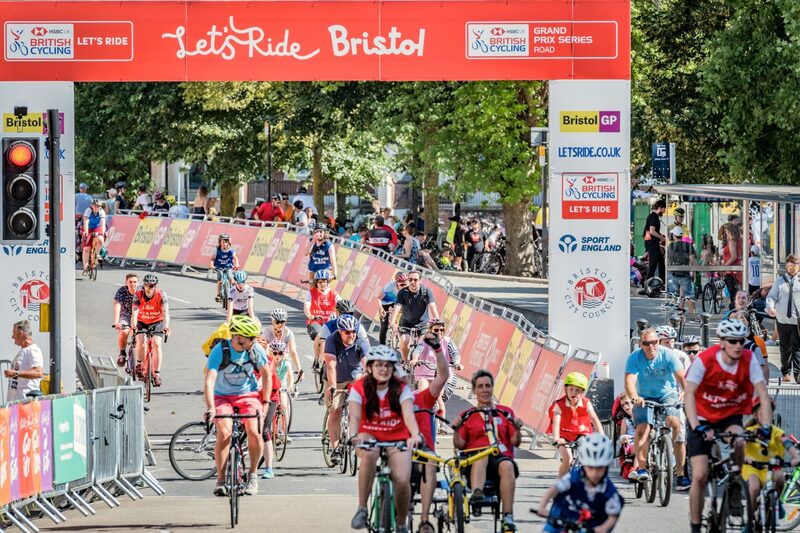 We are really proud to say that the Let’s Ride at the Bristol GP was, by far, the biggest Let’s Ride of the year. 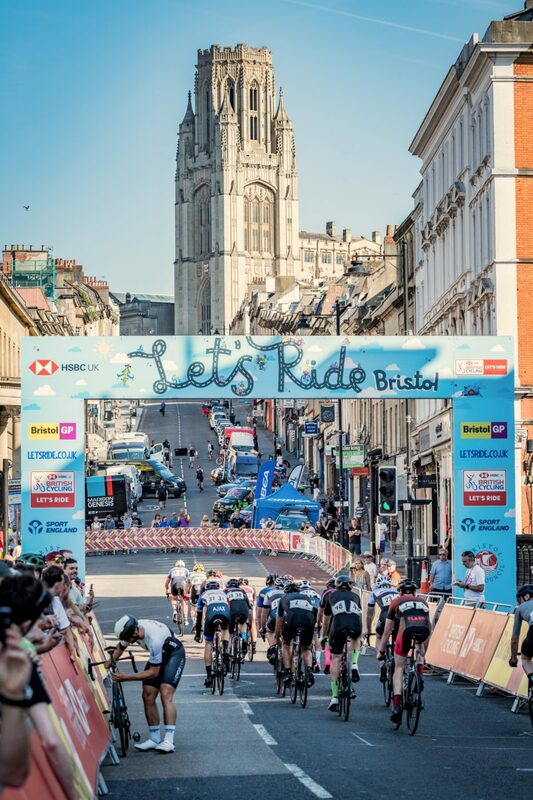 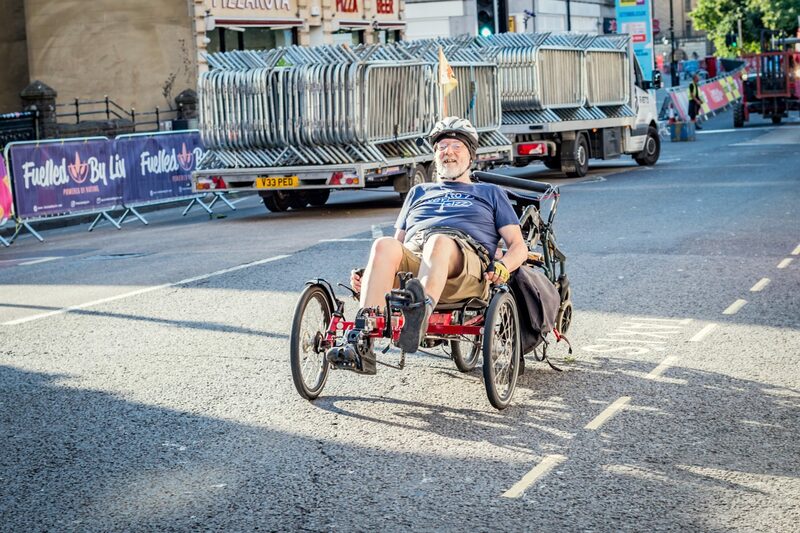 8,500 rolled away from the start to enjoy the best roads of Bristol on a fantastically sunny day! 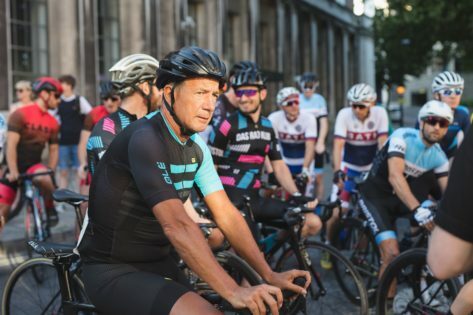 We’ve always worked to inspire people to get out on their bikes, so watching the enormous peloton take to the course was a huge reward for all the work that goes into the day. 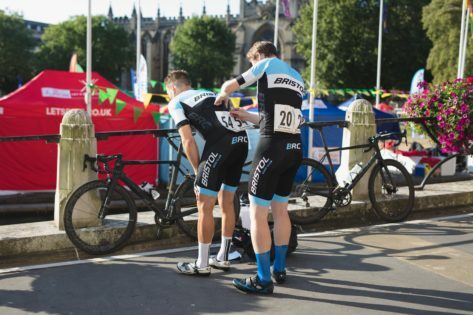 We love racing, but there’s nothing thing better than riding in the sunshine with your friends. 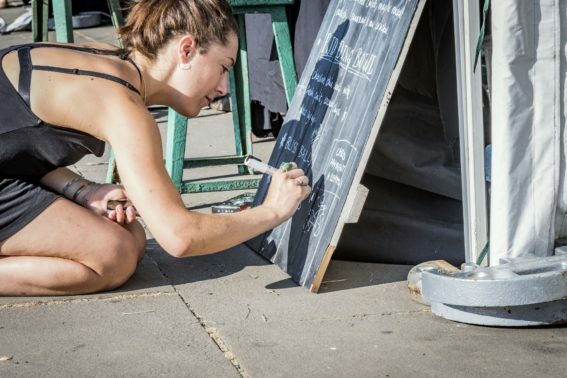 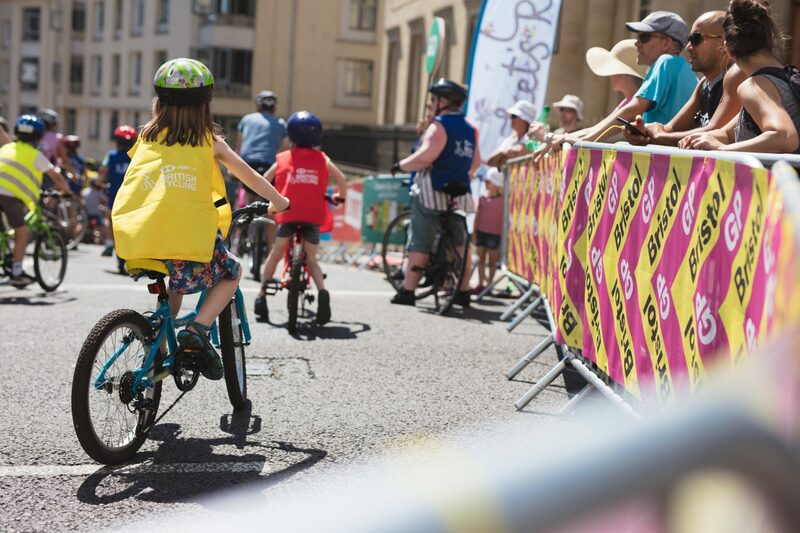 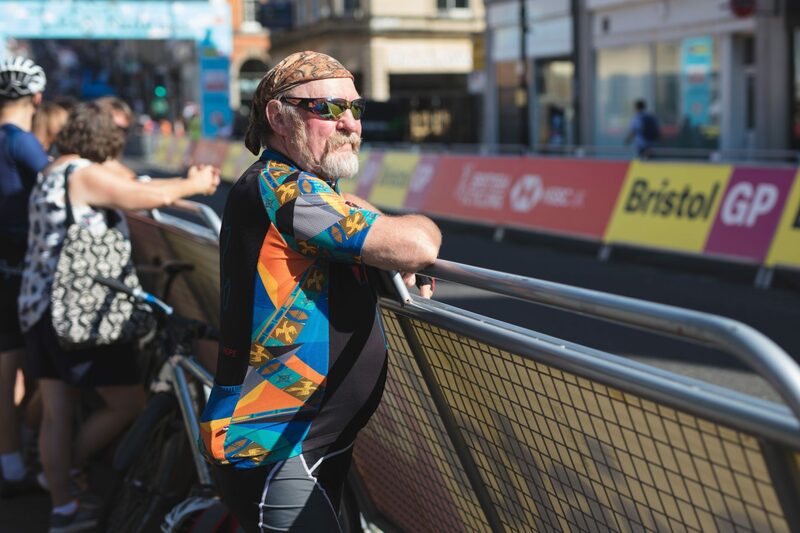 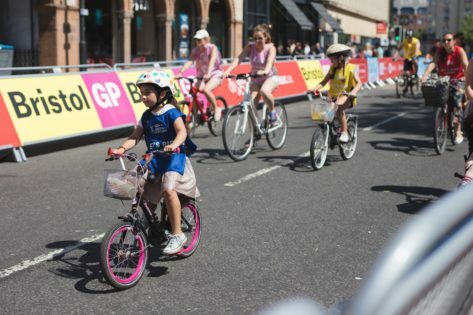 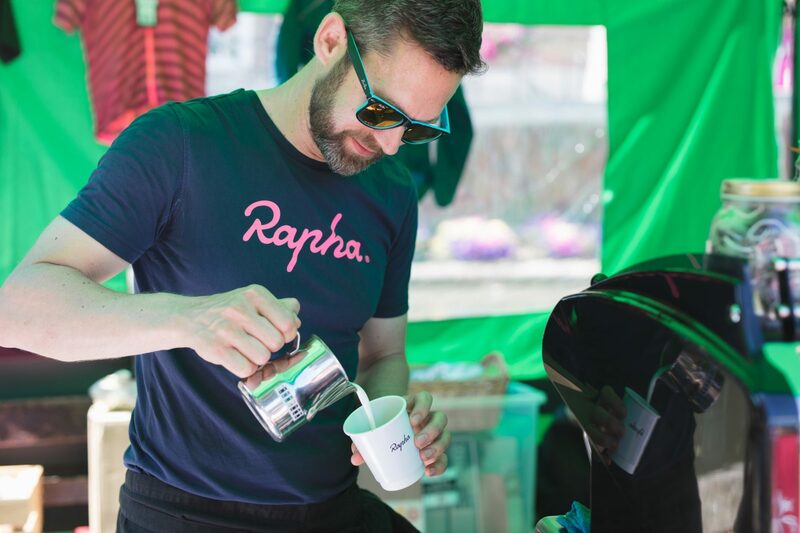 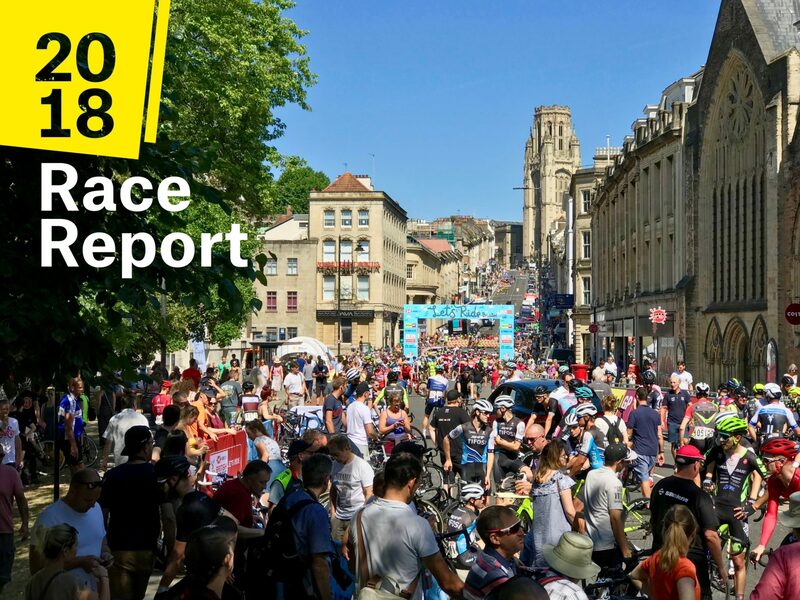 The spirit of the Bristol GP is to bring cycling to everyone, hosting the HSBC UK | Grand Prix Series and the Let’s Ride put this into action on a bigger scale than ever before, a huge thank you to everyone who came out and took part! It’s the morning after the @bristolgp the night before, and I think I’ve just about re-hydrated! 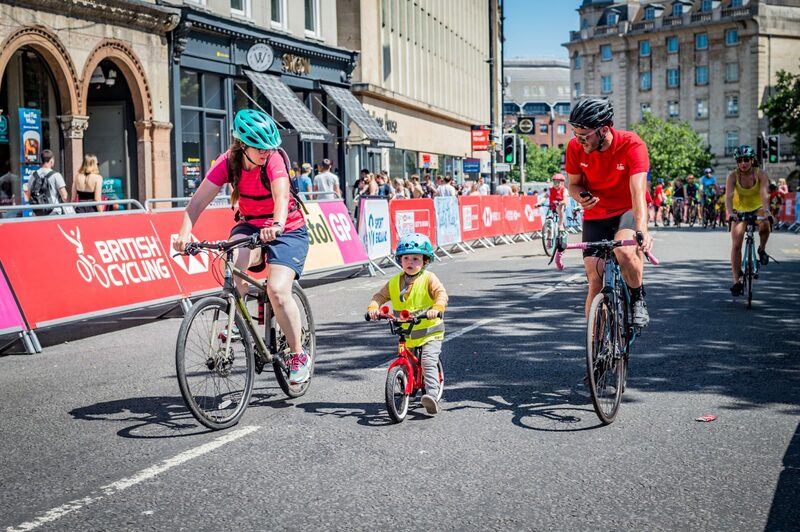 Congrats to all the organizers and volunteers for pulling it off, a great advert for cycling in the city of #Bristol! 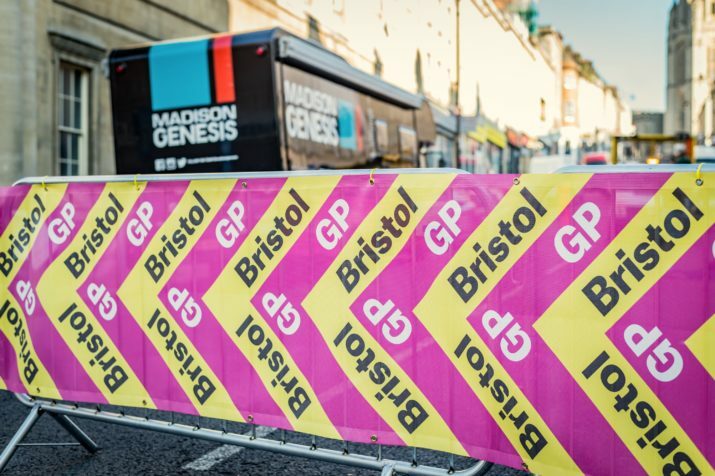 The Bristol GP team of four work year round to make everything happen. 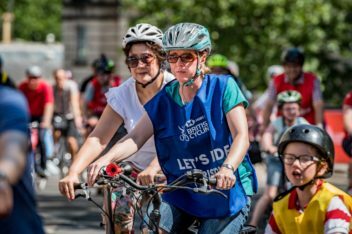 Throughout the year we meet some amazing, hard working and inspiring people who help us, work with us and share our vision to bring the day together. 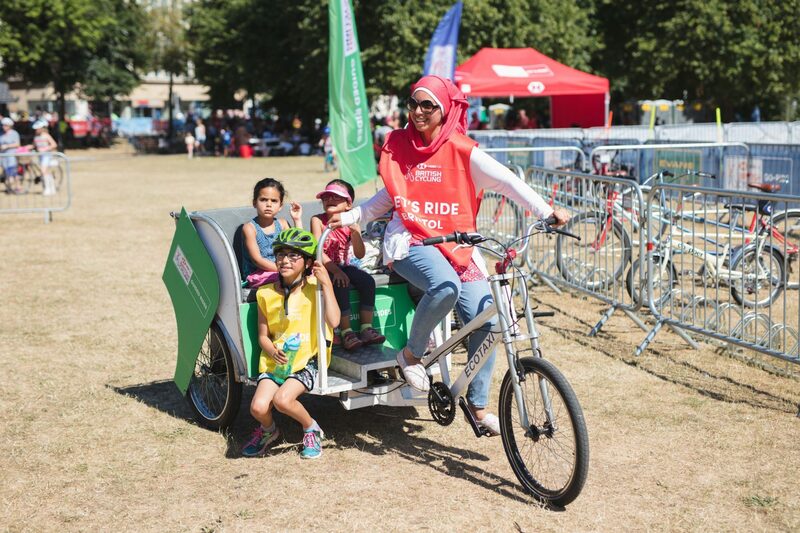 This amounts to hundreds of people, from infrastructure contractors to our fantastic army of volunteers. We can’t name everyone who is part of the day, but we would like to thank our generous and enthusiastic sponsors, the Bristol GP volunteers, our course managers, British Cycling (especially Brian Johnston), Altius Sport (especially Joff Charters) the team of commissaires, the race vehicle drivers and personnel, numerous members of Bristol City Council, the mayor (Marvin Rees), and all our friends, partners and family members who take part. 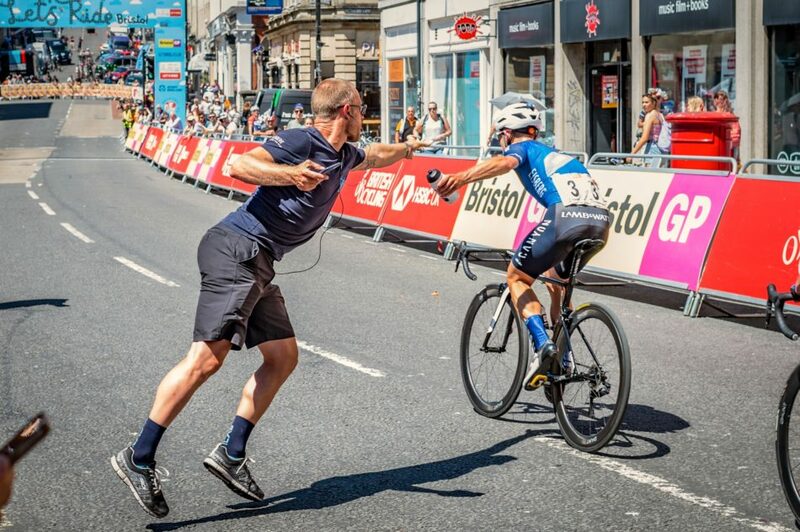 Thanks for everything you all do, it’s a pleasure to be part of such an enthusiastic and energetic family working towards a common goal. 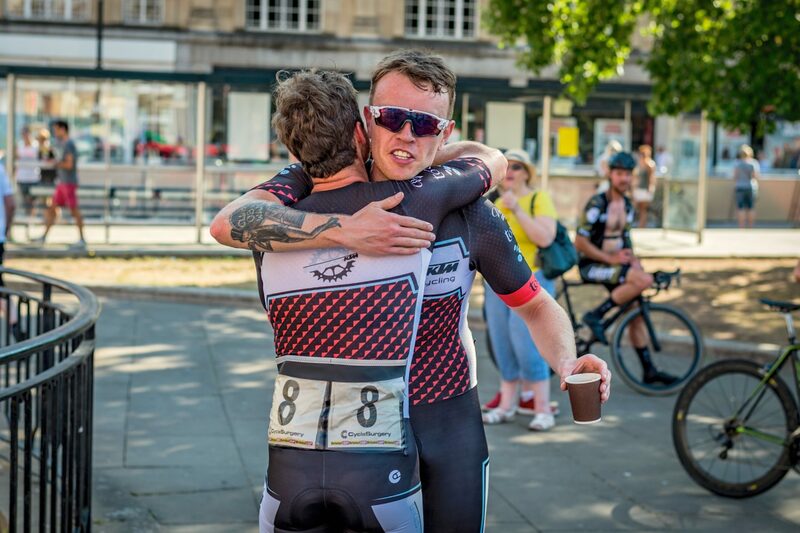 Thanks to everyone who turns a pedal in support of the day as a competitor, rider or in any other capacity. We look forward to working with you again in 2019! Keep pedalling and ride safe!